Mr. Máximo Cuñado, President and founder of Grupo Cuñado passed away in Madrid at the age of 85 years old. Born in 1931 in Mecerreyes, he established the company Cuñado y Cia in 1963. 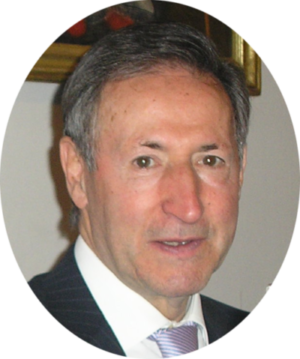 With 32 years and only 6 employees, he began his business career expanding its business to different Spanish cities as Alcalá de Henares, Tarragona, Gerona, Sevilla, Bilbao, Huelva, Barcelona, Ciudad Real, Tenerife, Las Palmas, Zaragoza, Vigo, Algeciras, Valencia, Valladolid and Gijon. It is in 1978, when he decided to make the international leap with the opening of 14 branches in Mexico, Chile, Peru, Venezuela, Bolivia, Ecuador, USA, Canada, South Korea, China, Germany, France, UAE and Turkey. Cuñado Group has completed 53 years of existence, maintaining its family-like character in its second generation, as his son Carlos David Cuñado is since last year 2010 the current president of the Group. Last year 2014, the Government of Spain, after being proposed by the Minister of Employment and Social Security, Ms. Fátima Báñez, awarded Mr. Máximo Cuñado Alonso with the Gold Medal for Work Merit, n recognition of his entrepreneurial and working career. The burial was held in privacy in the familiar pantheon in Mecerreyes (Burgos). 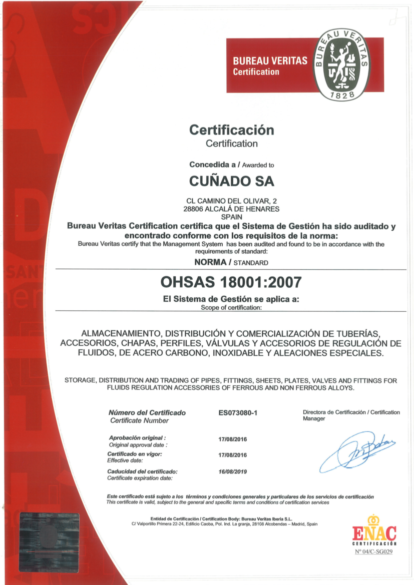 Grupo Cuñado obtained the Occupational Health and Safety Management System Certification (OHSAS 18001), a formal procedure to reduce the risks associated with health and safety in the work environment for its employees, customers and the general public. Define responsibilities for safety and health at work. Establish a policy defining clearly the commitment of the company. Identify the different aspects of safety and health at work related to activities, services and products of the organization. Make an impact assessment matched to the activities of workers. To Implement procedures of OSH Management System. Establish indicators to measure processes. Apply Corrective actions according to the analysis and results.